YouNow Services LLC is conducting this debt offering, with principal plus 20% interest payable by Tokens (PROPS) in lieu of cash, as per the terms of the DPA Agreement. See the below section entitled "How This Offering Works" for additional information, and please carefully review the entire DPA for complete offering terms. YouNow Services LLC is a Delaware company and a service operation, providing services to and partially owned by YouNow Inc. 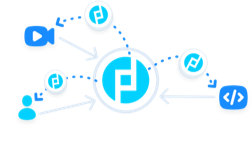 The Decentralized Media Foundation is a non-profit entity that programmatically and transparently distributes tokens over multiple years to developers and creators who contribute value to the ecosystem. 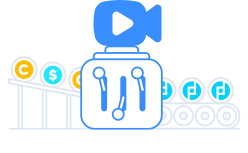 YouNow Inc will grant the Decentralized Media Foundation 50% of the total supply of PROPS tokens. As a result, the majority of tokens will be distributed over time to partners and the public. 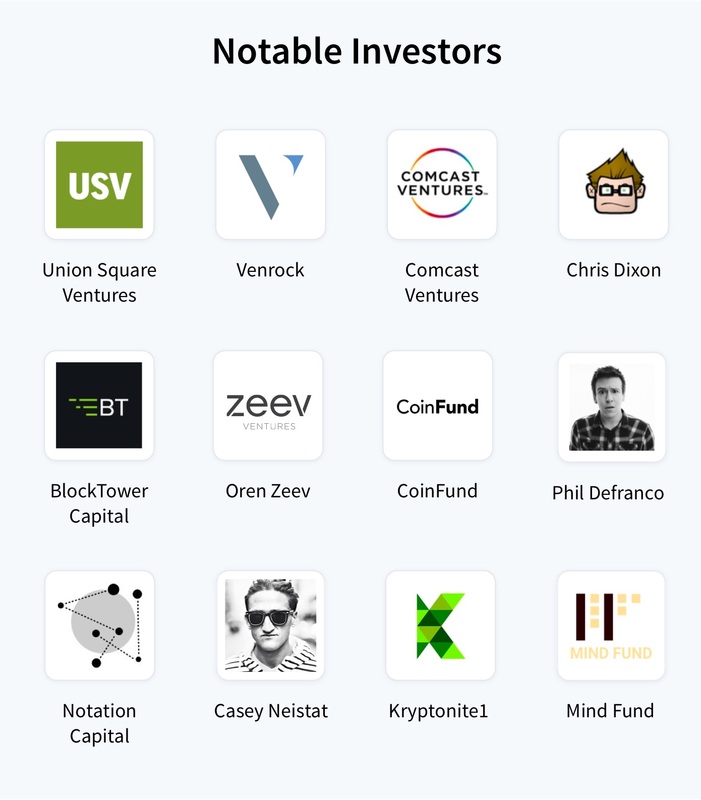 Investors in the YouNow Services Republic Crypto offering will have their tokens distributed to them as a Token DPA repayment after the planned Q1 2018 network launch. 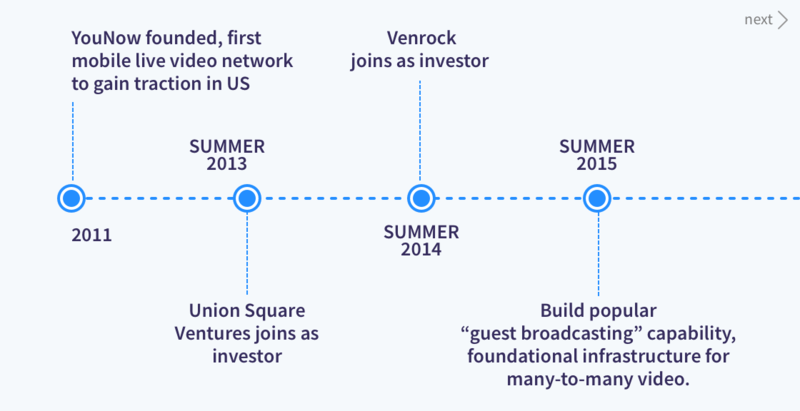 Since 2011, YouNow Inc has been a pioneer in the live streaming video space and was the first company to popularize live mobile video in the U.S. In stark contrast to the monetization strategies of most social media companies, YouNow Inc successfully invented a microtransaction-driven, two-sided economy within the context of video entertainment that allows YouNow Inc to reward content creators. Over the last three years, YouNow Inc has generated over $50 million in virtual goods sales and shared the majority of its earnings with its content contributors. 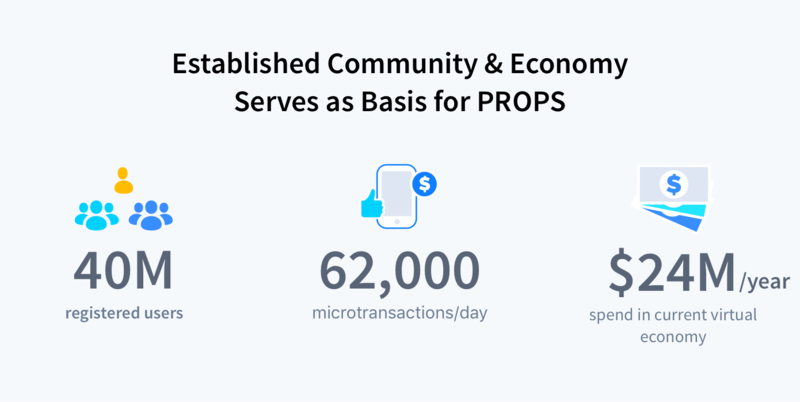 In launching the PROPS Ecosystem, the YouNow Inc team continues to pioneer video networks via an open video platform and an ecosystem with a decentralized economy. 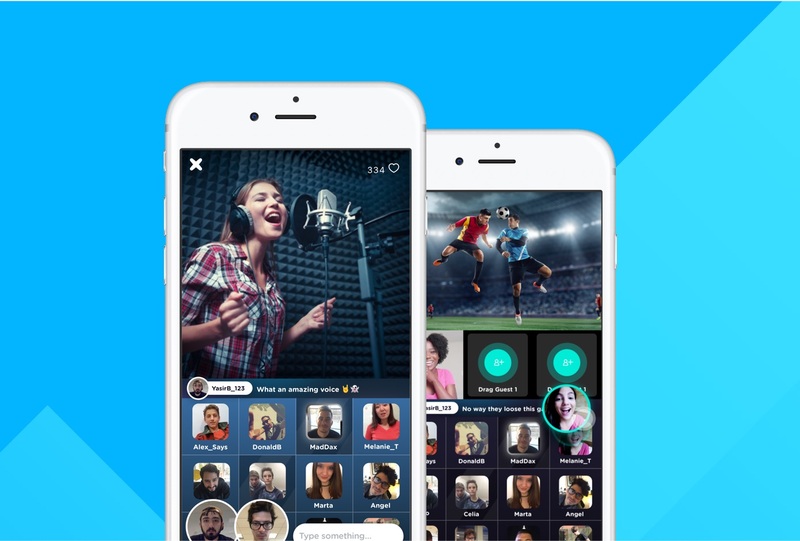 The PROPS Ecosystem will benefit from YouNow Inc’s millions-strong user base and creator community, a new many-to-many video technology and a 40 person team with notable video and virtual economy expertise. 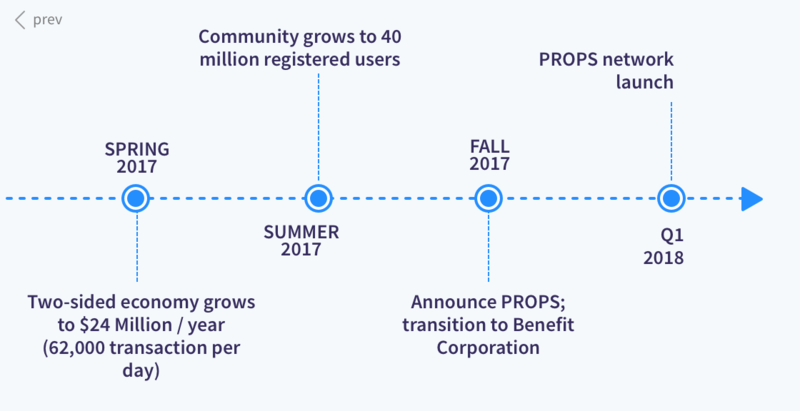 YouNow Inc plans to transition from its current state as a C Corp to become a B Corp, with a PROPS centric mission: creating a more open and sustainable media ecosystem. 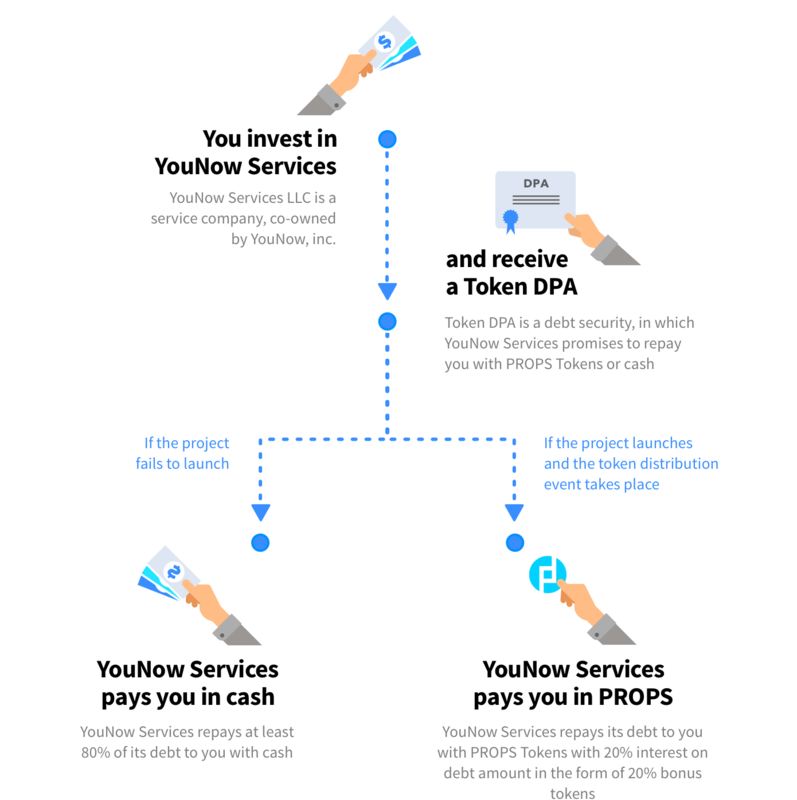 Investors are offered to invest in YouNow Services LLC and receive a Token DPA — a debt instrument, payable by assets (PROPS Tokens). YouNow Services is to acquire PROPS Tokens during the planned Q1 2018 PROPS Token Distribution Event. YouNow Services is to repay investors (Token DPA holders) with PROPS Tokens with a 20% premium. Please consult the DPA Agreement for complete termsIncluding timing, Republic’s and YouNow Services’ commission, how funds are handled, what happens with the funds in case the Tokens never get distributed by YouNow Inc, etc. This offering is a debt offering, payable by assets — PROPS Tokens, or by cash, if the Tokens never get issued. Investors do not receive any equity interest or ownership in YouNow Services or any of its affiliates. Repayment obligations are set forth in and limited to the terms of the DPA Agreement. Key repayment terms are listed below but are qualified entirely by the terms of the DPA Agreement. Please carefully review the entire DPA Agreement before participating in this offering. YouNow Services expects to acquire ownership of PROPS , in which case it will pay back the entire debt amount to investors, plus 20% interest, using PROPS, to be valued at the undiscounted price set by YouNow Inc for purposes of PROPS’ public distribution. At least 80% of the cash raised in this offering will be maintained in escrow. Investors may at any time within 60 days of the closing of this offering demand a refund, in which case the investor agrees that YouNow Services may return 80% in cash to the relevant investor in full satisfaction of all repayment obligations under the DPA. At any time in the first two years, if YouNow Services determines in good faith that it will not be able to acquire ownership of PROPS for regulatory reasons or otherwise, it may repay 100% of the debt amount in cash to investors, with no interest rate. After 2 years, there shall be a 1.5% interest accrued monthly in arrears on any unpaid debt. YouNow Services intends to repay all debts under this offering in cash (0% interest) or by PROPS (with 20% interest) within the first 24 months of this offering. Please carefully review the entire DPA for complete terms. We believe that users should transparently and programmatically earn for their contributions to a network, and have a stake in the community they are growing. PROPS is intended to establish an ecosystem in which network value flows between the people that help grow it, better aligning stakeholders across the platform. We welcome you to join us on our journey to build a decentralized ecosystem of video applications to better empower all of the stakeholders in the network, and we are grateful for your support. The smallest investment amount that PROPS is accepting. The largest investment amount that PROPS is accepting. PROPS needs to reach their minimum funding goal before the deadline. If they don’t, all investments will be refunded. The amount of time PROPS has to pay out your investment in tokens. If the DPA isn't repaid with tokens after that time, it will be payable in cash with interest. PROPS needs to raise $50K before the deadline. The maximum amount PROPS is willing to raise is $1.07M. CEO @ YouNow & YouNow Services. 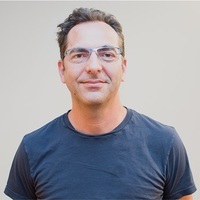 A pioneer in participatory media, an entrepreneur with more than 20 years of experience creating apps and companies in the user-generated video space. Founder @ CoMakery & Crowd Include. Former VP Eng. @ NASDAQ Private Market & SharesPost. 20k+ hrs dev. Blockchain panelist. No market for the services we provide currently exists. Although we have identified what we believe to be a need in the market for our services, there can be no assurance that demand or a market will develop or that we will be able to create a viable business. Our future financial performance will depend, at least in part, upon the introduction and market acceptance of our services. Potential customers may be unwilling to accept, utilize or recommend any of our proposed services. If we are unable to commercialize and market our proposed services when planned, we may not achieve any market acceptance or generate revenue. 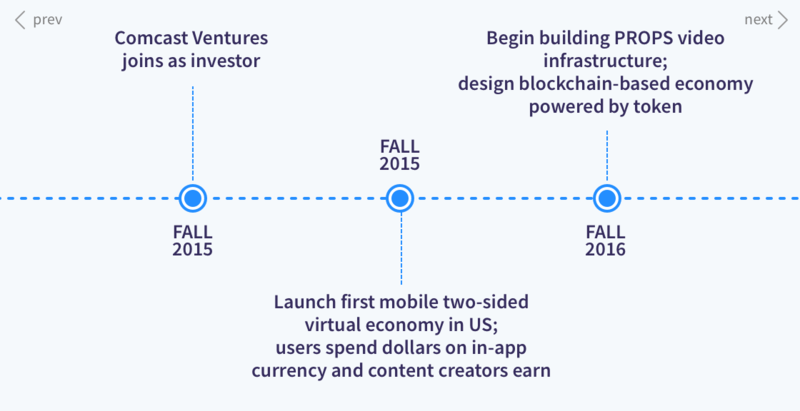 We are a startup company and our business model currently focuses on educating consumers about blockchain technology and helping them acquire crypto tokens, rather than generating revenue. While we intend to generate revenue in the future, we cannot assure you when or if we will be able to do so. We rely on external financing to fund our operations. We anticipate, based on our current proposed plans and assumptions relating to our operations (including the timetable of, and costs associated with, new product development) that, if the Minimum Amount is raised in this Offering, it will be sufficient to satisfy our contemplated cash requirements through approximately January 2019, assuming that we do not accelerate the development of other opportunities available to us, engage in an extraordinary transaction or otherwise face unexpected events, costs or contingencies, any of which could affect our cash requirements. We expect capital outlays and operating expenditures to increase over the next several years as we expand our infrastructure, commercial operations, development activities and establish offices. Our future funding requirements will depend on many factors, including but not limited to the following: * The cost of expanding our operations; * The financial terms and timing of any collaborations, licensing or other arrangements into which we may enter; * The rate of progress and cost of development activities; * The need to respond to technological changes and increased competition; * The costs of filing, prosecuting, defending and enforcing any patent claims and other intellectual property rights; * The cost and delays in product development that may result from changes in regulatory requirements applicable to our products; * Sales and marketing efforts to bring these new product candidates to market; * Unforeseen difficulties in establishing and maintaining an effective sales and distribution network; and * Lack of demand for and market acceptance of our products and technologies. We may have difficulty obtaining additional funding and we cannot assure you that additional capital will be available to us when needed, if at all, or if available, will be obtained on terms acceptable to us. If we raise additional funds by issuing additional debt securities, such debt instruments may provide for rights, preferences or privileges senior to the Securities. In addition, the terms of the debt securities issued could impose significant restrictions on our operations. If we raise additional funds through collaborations and licensing arrangements, we might be required to relinquish significant rights to our technologies or product candidates, or grant licenses on terms that are not favorable to us. If adequate funds are not available, we may have to delay, scale back, or eliminate some of our operations or our research development and commercialization activities. Under these circumstances, if the Company is unable to acquire additional capital or is required to raise it on terms that are less satisfactory than desired, it may have a material adverse effect on its financial condition. We were incorporated under the laws of Delaware on December 4, 2017. Accordingly, we have no history upon which an evaluation of our prospects and future performance can be made. Our proposed operations are subject to all business risks associated with new enterprises. The likelihood of our creation of a viable business must be considered in light of the problems, expenses, difficulties, complications, and delays frequently encountered in connection with the inception of a business, operation in a competitive industry, and the continued development of advertising, promotions, and a corresponding client base. We anticipate that our operating expenses will increase for the near future. There can be no assurances that we will ever operate profitably. You should consider the Companys business, operations and prospects in light of the risks, expenses and challenges faced as an early-stage company. We may have difficulty raising needed capital in the future as a result of, among other factors, our lack of an approved product and revenues from sales, as well as the inherent business risks associated with our company and present and future market conditions. Our business currently does not generate any sales and future sources of revenue may not be sufficient to meet our future capital requirements. We will require additional funds to execute our business strategy and conduct our operations. If adequate funds are unavailable, we may be required to delay, reduce the scope of or eliminate one or more of our research, development or commercialization programs, product launches or marketing efforts, any of which may materially harm our business, financial condition and results of operations. In general, demand for our services is highly correlated with the economic conditions of the companies who engage us for service. A substantial portion of our revenue is derived from discretionary spending by companies, which typically falls during times of economic instability. Declines in economic conditions in the U.S. or in other countries in which we operate may adversely impact our consolidated financial results. Because such declines in demand are difficult to predict, we or the industry may have increased excess capacity as a result. An increase in excess capacity may result in declines in prices for our services. Costs associated with information security such as investment in technology, the costs of compliance with consumer protection laws and costs resulting from consumer fraud could cause our business and results of operations to suffer materially. Additionally, the success of our online operations depends upon the secure transmission of confidential information over public networks, including the use of cashless payments. The intentional or negligent actions of employees, business associates or third parties may undermine our security measures. As a result, unauthorized parties may obtain access to our data systems and misappropriate confidential data. There can be no assurance that advances in computer capabilities, new discoveries in the field of cryptography or other developments will prevent the compromise of our customer transaction processing capabilities and personal data. If any such compromise of our security or the security of information residing with our business associates or third parties were to occur, it could have a material adverse effect on our reputation, operating results and financial condition. Any compromise of our data security may materially increase the costs we incur to protect against such breaches and could subject us to additional legal risk. In particular, the Company is dependent on the entities YOUNOW INC and CROWD INCLUDE LLC who are the Managing Member, 12/04/2017 - present of the Company and the Securities Member, 12/04/2017 - present. The loss of CROWD INCLUDE LLC and YOUNOW INC or any member of the board of directors or executive officer could harm the Companys business, financial condition, cash flow and results of operations. This means that the Company has ultimate discretion to use the proceeds as it sees fit and has chosen not to set forth any specific uses for you to evaluate. The net proceeds from this Offering will be used for the purposes, which our management deems to be in our best interests in order to address changed circumstances or opportunities. As a result of the foregoing, our success will be substantially dependent upon our discretion and judgment with respect to application and allocation of the net proceeds of this Offering. The Company may choose to use the proceeds in a manner that you do not agree with and you will have no recourse. A use of proceeds that does not further the Companys business and goals could harm the Company and its operations and ultimately cause a Purchaser to lose all or a portion of his or her investment. The Company has specifically contemplated using the bulk of its general working capital to purchase Tokens from its parent company in the event the opportunity arises. We are subject to income taxes as well as non-income based taxes, such as payroll, sales, use, value-added, net worth, property and goods and services taxes, in both the U. S. and various foreign jurisdictions. In particular, Tokens may not be excluded from the definition of "commodity future" or "security" by such future CFTC and SEC rulemaking, respectively. As of the date of this Memorandum, the Company is not aware of any rules that have been proposed to regulate Tokens as commodity futures or securities. The Company cannot be certain as to how future regulatory developments will impact the treatment of Tokens under the law. Such additional registrations may result in extraordinary expenses of the Company thereby materially and adversely impacting the Securities. The Company is aware that the SEC has determined that certain Tokens can be considered Securities, meaning the sale, transfer and use of them may be substantially limited and present regulatory risks and burdens to both the Company as well as to any purchaser of Securities that is repaid in Tokens instead of cash. Reputation risk, or the risk to our business from negative public opinion, is inherent in our business. Negative public opinion can result from our actual or alleged conduct in any number of activities, including lending and debt collection practices, corporate governance, and actions taken by government regulators and community organizations in response to those activities. Negative public opinion can also result from media coverage, whether accurate or not. Negative public opinion can adversely affect our ability to attract and retain customers and employees and can expose us to litigation and regulatory action. Our business and operating results may be impacted by adverse economic conditions. General economic factors and conditions in the United States or worldwide, including the general interest rate environment, unemployment rates and residential home values, may affect borrower willingness to seek loans and investor ability and desire to invest in loans. For example, during the 2008 financial crisis, banks severely constrained lending activities, which caused a decline in loan issuances. A similar crisis could negatively impact the willingness of investors and borrowers to participate on our marketplace. Although the U.S. and global economies have shown improvement, the recovery remains modest and uncertain. If present U.S. and global economic uncertainties persist, many of our investors may delay or reduce their investment in the loans facilitated through our marketplace. Adverse economic conditions could also reduce the number of individuals seeking to invest in loans facilitated on our marketplace, reduce the number of qualified borrowers seeking loans on our marketplace and result in borrowers being unable to make payments. Should any of these situations occur, our revenue and transactions on our marketplace would decline and our business would be negatively impacted. We have no past operating history, therefore there is no accurate indicator of future performance, and you should not rely on such results to predict our future performance. Our operating results have fluctuated significantly in the past, and could fluctuate in the future. Factors that may contribute to fluctuations include: * changes in aggregate capital spending, cyclicality and other economic conditions, or domestic and international demand in the industries we serve; * our ability to effectively manage our working capital; * our ability to satisfy consumer demands in a timely and cost-effective manner; * pricing and availability of labor and materials; * our inability to adjust certain fixed costs and expenses for changes in demand; * shifts in geographic concentration of customers, supplies and labor pools; and * seasonal fluctuations in demand and our revenue. Our revenues are generated primarily from servicing customers seeking to hire qualified professionals in the blockchain industry. Demand for these professionals tends to be tied to economic and business cycles. Increases in the unemployment rate, specifically in the financial technology and other vertical industries we serve, cyclicality or an extended downturn in the economy could cause our revenues to decline. Therefore, our operating results, business and financial condition could be significantly harmed by an extended economic downturn or future downturns, especially in regions or industries where our operations are heavily concentrated. Further, we may face increased pricing pressures during such periods as customers seek to use lower cost or fee services, which may adversely affect our financial condition and results of operations. We may face pricing pressure in obtaining and retaining our clients. Our clients may be able to seek price reductions from us when they renew a contract, when a contract is extended, or when the clients business has significant volume changes. They may also reduce services if they decide to move services in-house. On some occasions, this pricing pressure results in lower revenue from a client than we had anticipated based on our previous agreement with that client. This reduction in revenue could result in an adverse effect on our business and results of operations. Currently we have a one year exclusivity agreement with our parent Managing Member, which may increase these risks to the Company. Further, failure to renew client contracts on favorable terms could have an adverse effect on our business. The Company could be negatively impacted if found to have infringed on intellectual property rights or commit other legal or regulatory infractions. The Securities will not be freely tradable until one year from the initial purchase date. Although the Securities may be tradable under federal securities law, state securities regulations may apply and each Purchaser should consult with his or her attorney. At the moment, there is no definitive regulatory stand point on whether blockchain Tokens are securities or utility devices. While the Company believes any Tokens used to fulfill its debt obligations would be considered non-securities assets, and therefore freely tradeable on the open market, there is a risk that regulators may deem Tokens securities, therefore limiting their liquidity substantially. Prior to the Offering the Companys current owners of 20% or more beneficially own up to 100.0% of the Company. Subject to any fiduciary duties owed to our other owners or investors under Delaware law, these owners may be able to exercise significant influence over matters requiring owner approval, including the election of directors or managers and approval of significant Company transactions, and will have significant control over the Companys management and policies. Some of these persons may have interests that are different from yours. For example, these owners may support proposals and actions with which you may disagree. The Managing Member owns 90% of the Company and is therefore in control of the Companys operations, the Securities Member owns 10% of the Company and while it has no management or control rights, it does have the ability to supervise and help run this Offering in the place of the Managing Member, as well as any other responsibilities delegated by the Managing Member in their mutual discretion. The concentration of ownership could delay or prevent a change in control of the Company or otherwise discourage a potential acquirer from attempting to obtain control of the Company, which in turn could reduce the price potential investors are willing to pay for the Company. In addition, these owners could use their voting influence to maintain the Companys existing management, delay or prevent changes in control of the Company, or support or reject other management and board proposals that are subject to owner approval. The provisions in the Securities will not necessarily afford you protection in the event of a transaction that may adversely affect you, including a reorganization, restructuring, merger or other similar transaction involving us. These transactions may not involve a "liquidation event" or "change of control" which would to trigger these protective provisions. Except in certain circumstances, the Securities will not permit the holders of the Securities to require us to repurchase the Securities in the event of a takeover, recapitalization or similar transaction. New regulations may make it more difficult to acquire and/or use Tokens. Furthermore, regulatory actions may limit the ability of end-users to convert Tokens into fiat currency (e.g., U.S. Dollars) or use Tokens to pay for goods and services. Such regulatory actions or policies would negatively affect our business and decrease the value of the Securities. Therefore, if the Company pays back the Security in Tokens, instead of cash, this may prove to be an illiquid and potentially worthless repayment currency. Although currently Tokens are not regulated or are lightly regulated in most countries, including the United States, one or more countries may take regulatory actions in the future that severely restricts the right to acquire, own, hold, sell or use Tokens or to exchange Tokens for fiat currency. Such an action may also result in the restriction of ownership, holding or trading in the Securities. Such a restriction could result in the termination and liquidation of the Company at a time that is disadvantageous to Purchasers, or may adversely affect an investment in the Company. Substantially all decisions with respect to the management of the Company will be made exclusively by the officers, directors, managers or employees of the Company. You, as a Purchaser, will have a very limited ability to vote on issues of Company management and will not have the right or power to take part in the management of the Company and will not be represented on the board of directors or managers of the Company. Accordingly, no person should purchase a Security unless he or she is willing to entrust all aspects of management to the Company. The term of this debt instrument and all the rights to receive Tokens from it, will expire at three (3) years. If the Company is not able to acquire Tokens within three (3) years of the issuance of the debt instrument, it will pay investors back with all remaining cash on hand, with interest due by the terms of the debt agreement. This means, investors upside is potentially capped at the three (3) year rate of return described in the debt agreement. Investors should be willing to accept a hard cap on their possible gain from investment. In addition to the risks listed above, businesses are often subject to risks not foreseen or fully appreciated by the management. It is not possible to foresee all risks that may affect us. Moreover, the Company cannot predict whether the Company will successfully effectuate the Companys current business plan. Each prospective Purchaser is encouraged to carefully analyze the risks and merits of an investment in the Securities and should take into consideration when making such analysis, among other, the Risk Factors discussed above. Younow is leading the way with the Props initiation and I am excited to tag along for the ride! Great idea and great team. Michael Gray is a genius! I hope this will be my successful "black swan"
This team is the best in the business. I believe in systems with equal power and participation. I believe in the power of distributed applications for one-to-many uses and tokens as a form of micropayment. To empower content creators worldwide! I believe in PROPS project. I invested because it is an amazing platform and I believe will change the way we watch videos. Props will be like youtube on steroids. I love the concept and i believe it has a lot of potential. The app looks like it is a sound company to invest in with apps. The project will provide direct financial incentives for video bloggers, leading to more creative video content. Love the idea of platform and dapps on it. Strong team. Functional software. I believe in the power of creators and supporting their vision. Looks promising! I would like to use it myself. Presentation looked fun! I am a Video Engineer and Content Creator and my Community needs this! I also believe in the concept. I invested because after seen your project on Tai Zan I thought it was so cool so that's why. Read the white paper of PROPS and look forward to your vision. I think its a great platform for entertainment, especially for teenagers. Interesting idea, something I can get behind. I think the Rize app is going to be very successful as the first many to many video app. I also cannot wait to see other apps that will utilize PROPS. Exciting times ahead! I believe the PROPS has the frontier model for new media development. It appears youtube and others services will continue to make it harder for content creators to earn a living from. I like the disruptive nature of this. I believe Props is going to change the way people share their content, thus the reason for investing in them... I wish them good luck! Strong team and already delivered younow. I'm excited to be a part of a media ecosystem where content creators can be fairly compensated and not have to rely on advertisements. To help content creators earn a higher percentage of the ad revenue they generate! I have an idea for an application on the Rize platform to help torture victims, which will not work if the usual censors do what they do to avoid embarrassment and implication. $200 invested. I liked the project and the team behind it. I believe in the space its trying to develop. Looks like a great platform, I like that it undermines Youtube and FaceBook. I invested because props is a great idea that uses blockchain to stream videos and with its decentralized power it will never go down. I did as much research as I could and have to say that I am a believer. The fact that they were willing to raise funds through coinlist, which is very stringent on background checks, proves to me that this is legit. Good luck Rize! next generation social platform. Great team and project ! As a blockchain enthusiast, I believe in the technology and PROPS' goal to create a fair and equitable media platform where all users can benefit from the use of smart contracts. This ICO scores high in the areas that matter. 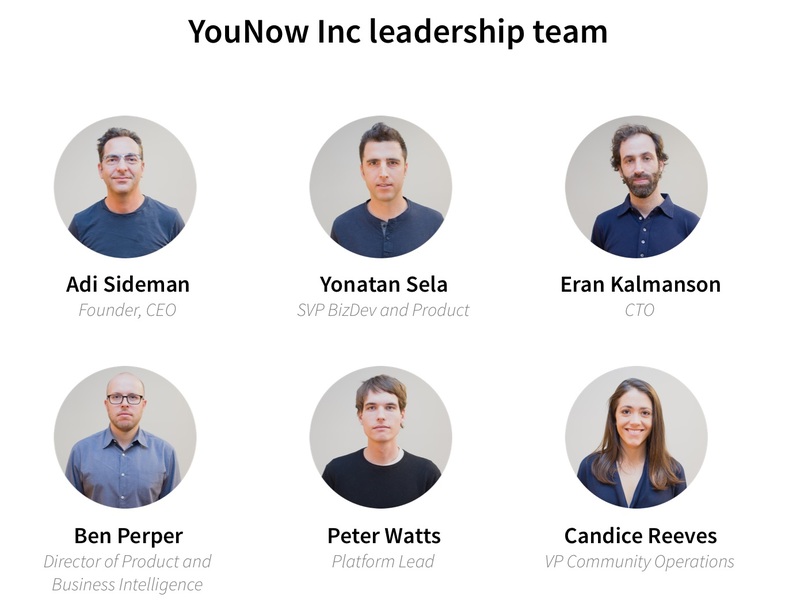 I invested because I believe in the team at YouNow. I see the potential in a new social media platform that has a lot of different features and reward all participators. Especially with the whole demonetization issue on Youtube, where I see some of the biggest youtubers saying they are frustrated. I believe the business model is good. The idea and technology behind props is unique and very interesting. Middlemen prevent content creators from receiving the true value for their work. If someone is going to do it, it will be PROPS because they are already in the business. I believe in the project and I will be using the app once it has been launched. The Rize app looks like it can shake up digital interaction, and I wish to try out new kinds of content through the app. I believe that PropsProject's vision and business will be a success, a good development team. PROPS is a great network with a great team and leadership. I think this company will succeed in their goal to decentralize media. I have invested because of Caesey Neistatt. I love the idea and you have strong influences that can kick start project and I'm a developer love to create a social game soon. Current digital media platforms are getting really sour with users/creators. Props is an opportunity to put another player in the market. Another decision early investors and founders. Not betting the farm but at least put in what I can. beacause i believe in Props and Team Dev of Props. I invested because the TaiFu bros referred it to me. This is my very first time I invested in an ICO. 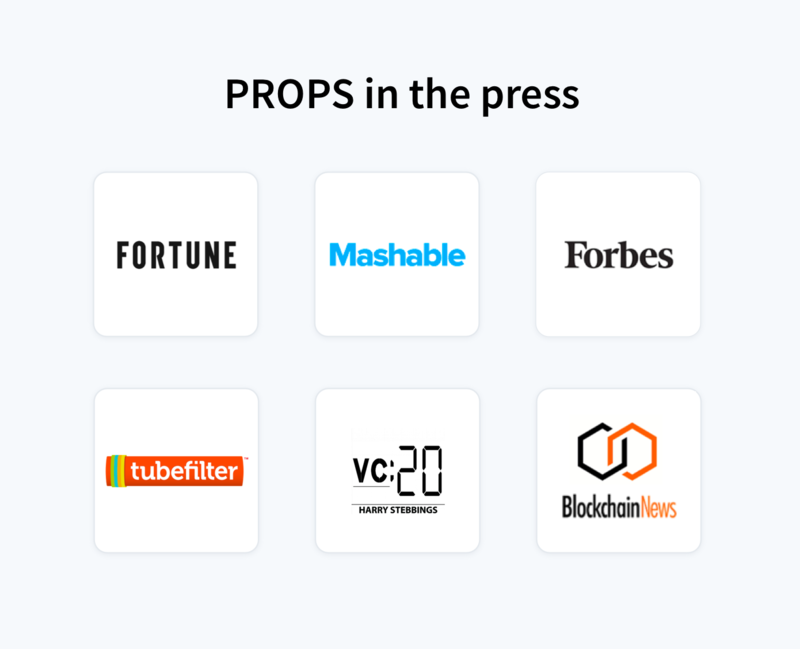 PROPS promise is to decentralise the Digital Media Economy and I trust that this is needed and PROPS can make it. Good luck PROPS! I believe PROPS has good potential. Decentralization of online content, no regulators to censor this content: sounds great. The idea, the team, and the push towards the community! I believe in crypto currency, I believe in blockchain,I believe in the new technology, I believe in Internet of things. We need more security. I´d like to sell for profit later one due to I got a own app-project to fund. The real question is why would I not invest in an offering this groundbreaking? After understanding the platform, doing research on the team, and looking into the past successes and current backing, I truly feel this project is a game changer. I like the long term vision and the fact that the project already has an MVP. I invested because Ian Balina invested. 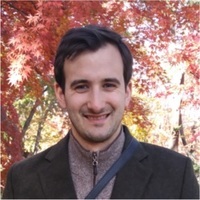 I want to support an interesting idea and to be at the beginning of spmething big. Interested in supporting the crypto community through ICOs. Exciting! Seems like an interesting new platform for providing mainstream media. I believe props project is a great idea and i want to see it rize ;) and compete with the companies which are the status quo nowadays. Wonderful project. I believe it will succeed. I believe in the team and the project goals. Solving a real world problem. I'm hoping for the public to better support available crypto markets. I invested in Props because I believe in YouNow and that they will become bigger than Youtube in the future. I FEEL THRE IS A GREAT FUTURE FOR VIDEO SHARING. I invested because I believe the PROPS token will be a great token due to increasing utility value due to increasing usage of the platform. I was recommended to do so and You tube censoring makes me believe an alternative is necessary especially with the amount of advertising personal videos online today and individual online businesses today. Great concept, plan and team! 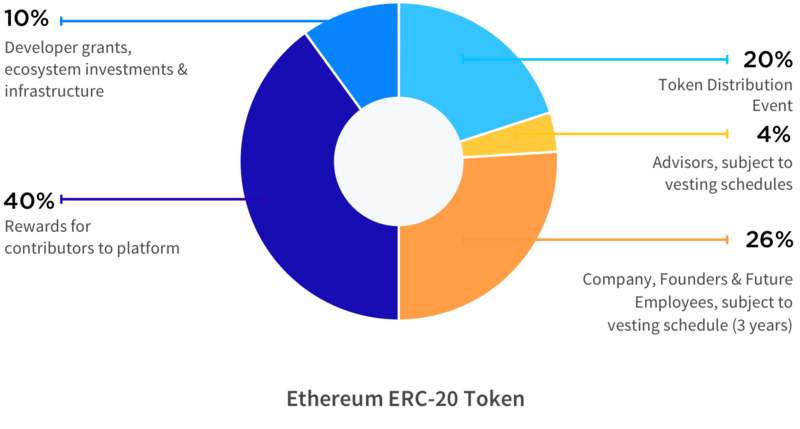 IBut, i am little concerned regarding its long term token metrics. I believe in a decentralized ecosystem of video applications where video entrepreneurs can thrive. Someone is going to put user generated video content on the blockchain and become the industry standard. This might be it. I belive in this project. Sky is the limit. Seems like a good project and rated well by Ian Balina. I believe in the importance of promoting hidden entertainers to have a place to be heard and rewarded directly for their efforts from followers and fans. Promising new platform for video live streaming etc. rewards content creators, users and investors with tokens on the blockchain. because i believe that props will grow really big one day, and i believe in the concept. i think they are doing somehting great. Firm believer in blockchain and the application is intriguing here. LIke the backing of Union. i like the idea of this company i think PROPS has potential to attract mass audiances. this could be the new generation of YouTube. i hope PROPS would collaborate with more influencers to get wider audience. I believe that Props is a good project that will be better than youtube. I see big potential in the project. I invested in the PROPS ICO because it has a good team and has an actual working product behind it. I love the idea of decentralised social media and content creators being truly rewarded for their contribution to it. I believe in the vision and the team. I invested in PROPS because their ideas are honorable and fantastic! I also appreciate the kind gesture PROPS made by working with Republic to allow unaccredited people the possibility to grow with the investment opportunity PROPS offers. Philip Defranco... Do I need to say more. I believe in the future of blockchain and the PROPS platform. I believe the props platform will provide content creators a chance to earn doing what they love without getting cuts in commission for their work. I believe this is the future of what media should be. Also, shout out to Philly D! I like what you guys are working towards, and I want to be part of it. Because I thinks this platform is going to be next new thing. I believe in the YouNow platform and I am a professional online livestreamer. I want a decentralised world, where the power of value exchange is directly in the hands of the people involved! I love the idea of a fair ecosystem which rewards all participants. The team and CEO also give me a lot of confidence in the success of the business. Good luck! I believe this will be the next social media! cryptocurrency on a livestream platform is a good idea. Paying the creators on the blockchain, even better. i believe props will beat youtube!! I see this platform evolving into a succesfull decentralized content solution..
Really like the video chat feature. I definitely see myself using it in future. I believe blockchain is the future in any project and with a solid team like PROPS, it will perform great! I believe in a decentralized system and it is a cool opportunity to connect via video. Great project to invest.. Crypto is the new man made investment. mi hijo hizo esta inversion para mi retiro. PROPS is decentralizing the Digital Media and i believe they have the team in place to truly pull it off! 1000% believe in their ability to achieve this and extremely excited to get on board and be part of the journey. 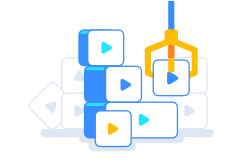 video platforms need a shake up! A disruptive player. Props is it! I invested in Props because they are an infrastructure project and what they are doing with streaming, i.e., many to many, is revolutionary and extemely innovative. I also have confidence in the team based upon their proven experience to deliver. I want to support content providers in a way that is more fair to them. I have faith in this project. Great things which can change our future! 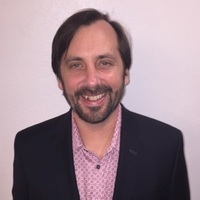 They solve a key problem in the video streaming business and have the track record and team to carry their plan through. It is cool that a contributor to the platform is rewarded for adding value to the platform. I invested because I like the idea and want to support it. Blockchain revolution technology that will cause mass adoption. Already has a working product, great idea to a current tech problem. Excited what the future has in store! It's a good investment and i love the fact it's got good advisors. I believe in their concept and appreciate the type of ecosystem they are looking to build. I believe in the platform and concept. Crypto and video sharing are a great match. I believe this technology is the future. Fast and reliable micro payments in entertainment industry is long overdue. Direct payments between users in a community adds real value and freedom of choice to contribute freely and without any unnecessary delay or extra fees. a platform for the people; only a small fraction of the hundreds of billions in enterprise value that they have amassed flows back to those that create it. I like the fact that content creators will be able to keep a larger share of their earnings. I invested in the project as i potential in this model and the team. Distribution terms changed. How do I get a refund?